Netanyahu recalls ambassadors to New Zealand and Senegal, stopping aid to the West African nation, and mulling cutting ties with UN agencies operating in Israel. He also cancels planned visit of Ukraine's prime minister to Israel. Israel has taken a series of diplomatic moves against nations that voted in favor of the contentious UN Security Council resolution calling for an end to settlement construction, from recalling ambassadors to cutting ties and canceling official visits. Prime Minister Benjamin Netanyahu has asked the Foreign Ministry to "reevaluate all of our ties to the UN within a month," and said he had already cut NIS 30 million in funding to five UN institutions. 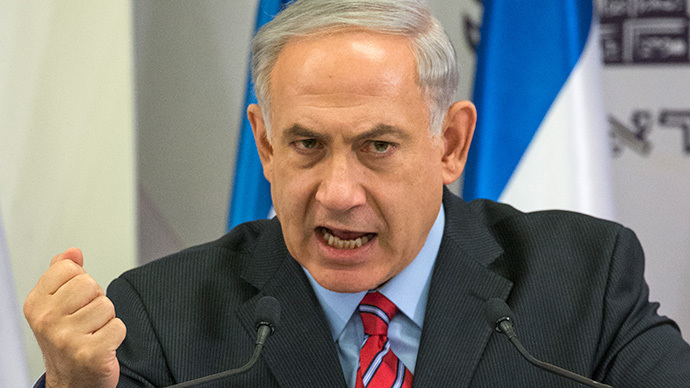 "Five institutions that are particularly hostile towards Israel," he explained. Israel is also considering stopping work visas to employees of these UN agencies and expelling UNRWA spokesman in Israel, Chris Gunness, who Jerusalem is accusing of inciting against the State of Israel. Another measure being examined is to stop payments of NIS 186 million a year (about 46.5 million euros) to the UN in membership fees. Netanyahu, who is also the foreign minister, recalled Israel's ambassadors to New Zealand and Senegal soon after the vote and has summoned the ambassadors of all nations who voted in favor of the resolution—except the US—to his office on Sunday morning to rebuke them. He also instructed the Foreign Ministry to cancel a scheduled visit of the Senegalese foreign minister to Israel in three weeks as well as cancel all Israeli government aid to the West African nation. "Those who work with us will gain, because Israel has a lot to offer the nations of the world. But those who stand against us will lose, because there will be a diplomatic and economic price to their actions against Israel," he said in a speech on Saturday night. One of the aid projects Israel is leading in Senegal is of drip-irrigated vegetable farms, which are part of an initiative to alleviate poverty through agricultural innovation. The program is based on low-pressure drip-irrigation that saves water and produces improved quality of vegetables and fruits. As part of the project, Israeli experts train locals in advanced irrigation methods and help construct infrastructure like greenhouses, nurseries and study centers. Several dozens of Senegalese arrive in Israel every year for further training. Israel has invested hundreds of thousands of shekels a year in this project over the past decade, and it is one of the biggest projects in Africa. New Zealand, which is ending its two-year term as a member of the UN Security Council at the end of this month, has in the past submitted its own initiative that included an expression of commitment to the two-state solution, condemnation of settlement construction, condemnation of incitement and violence on both sides of the conflict and addressing the humanitarian situation. The initiative was not taken seriously and New Zealand's representatives had to withdraw it but decided to support the original Egyptian resolution draft that was also adopted by Malaysia and Indonesia. And while New Zealand and Senegal submitted the resolution along with Venezuela and Malaysia, Israel has no diplomatic ties with the latter two nations, so there are no countermoves it can take against them. Israel was disappointed with some of the countries that supported the vote, primarily Britain (whose Prime Minister Theresa May is leading a pro-Israel policy), Ukraine, Japan and Uruguay. Ukraine, which is a normally friendly state towards Israel, voted in favor of the resolution. In protest, Netanyahu decided to cancel a scheduled state visit to Israel by Ukraine's Jewish Prime Minister Volodymyr Groysman. Ukraine’s decision to vote in favor of the resolution appears to demonstrate the extent to which President Barack Obama was behind the decision. According to officials in Israel, Groysman is thought of as one of Israel’s main supporters and even wanted that his country not be involved in the consultations held on the resolution. However, Ukraine's President Petro Poroshenko decided to vote in favor of its passage following a telephone conversation with US Vice President Joe Biden. Jerusalem did not expect much from France or Spain, but has hoped Russia's President Vladimir Putin would veto the decision. Netanyahu even called him twice last week.